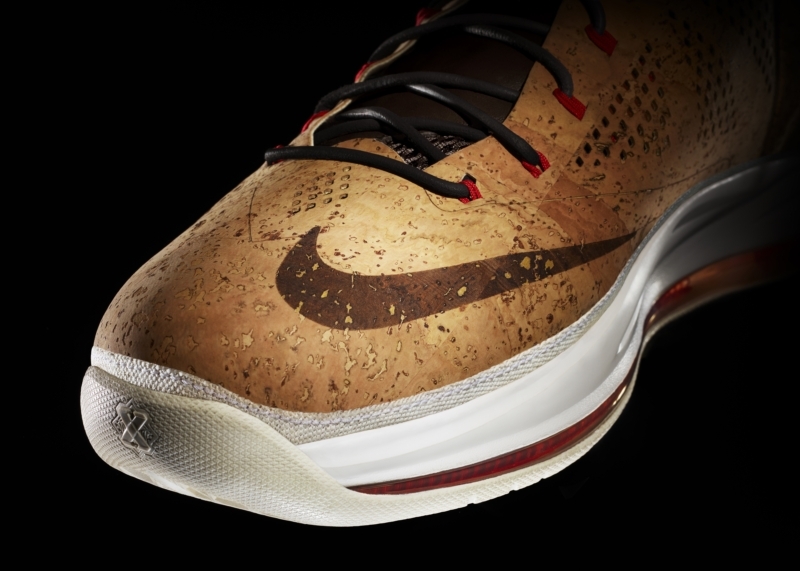 Paying tribute to LeBron James and his first championship, Nike Sportswear has created a special lifestyle edition of the LEBRON X shoe that is made of genuine cork. 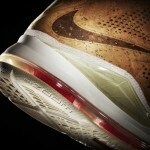 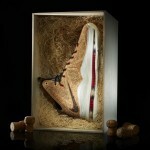 Releasing Saturday, February 23, this LEBRON X NSW cork edition honors the tradition of cork-popping champagne celebrations. 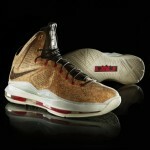 James celebrated the occasion last June when he and his teammates brought home another championship for Miami. 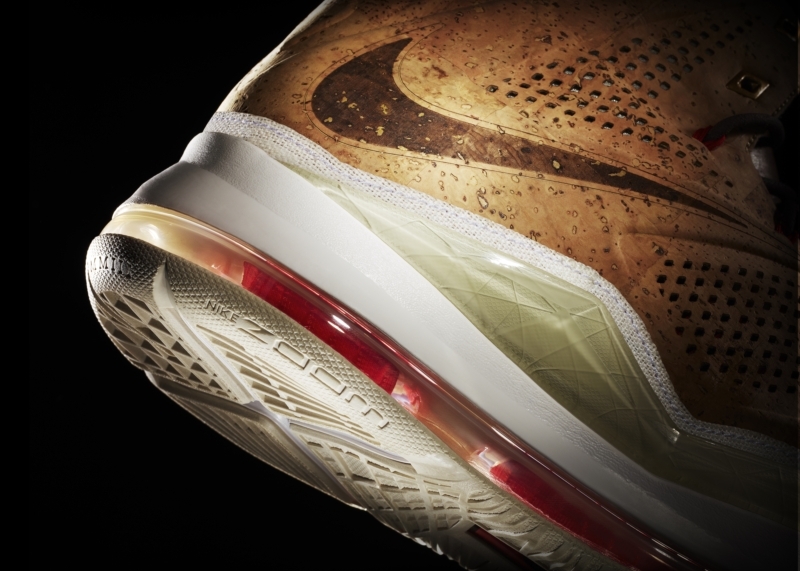 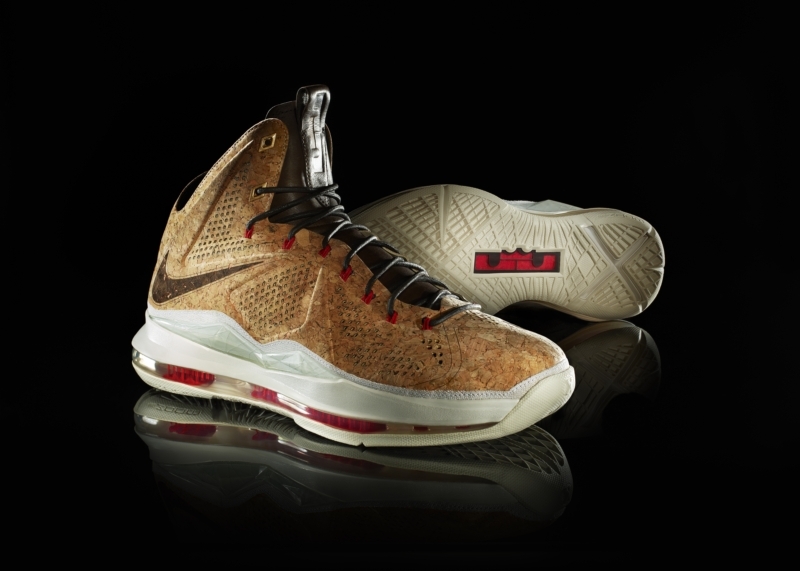 The LEBRON X NSW cork edition features many of the same characteristics of the LEBRON X performance shoe but with a unique, personalized touch to the upper. 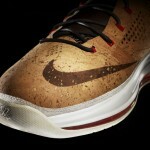 Expect the unexpected as 2013 will welcome additional basketball footwear surprises. 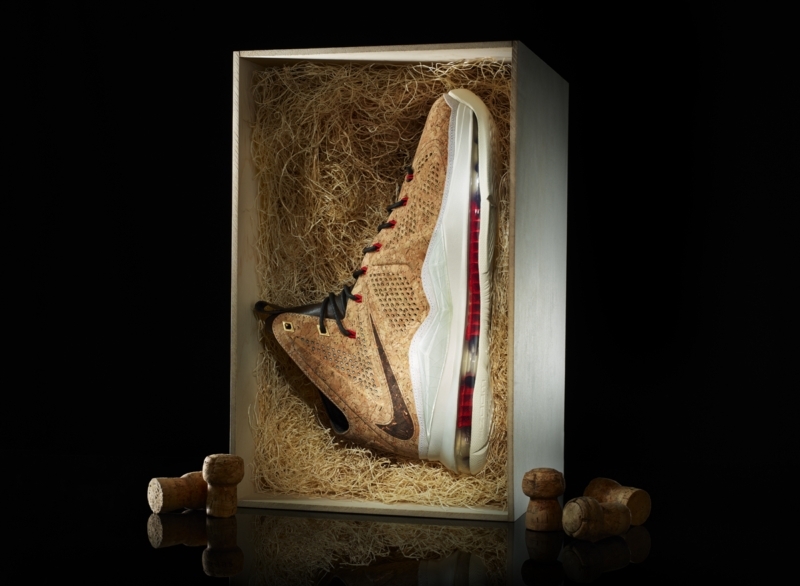 Nike Sportswear will create distinctive versions of Nike signature basketball shoes, all remixed with premium materials for non-performance use.